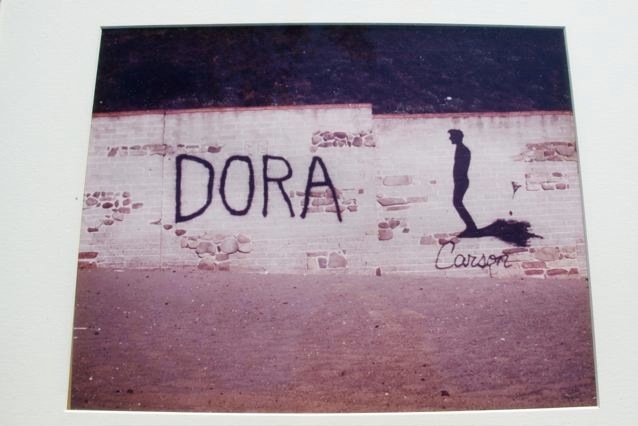 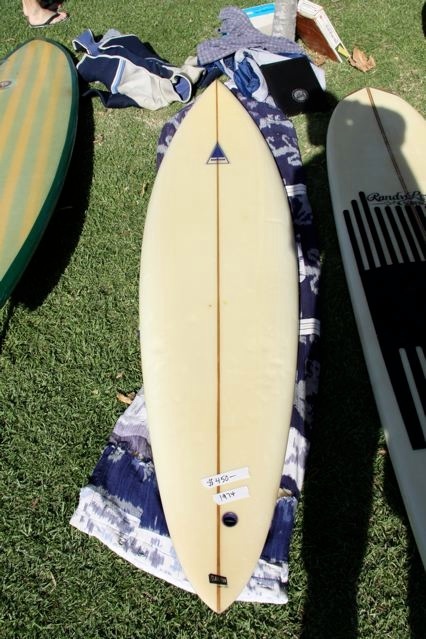 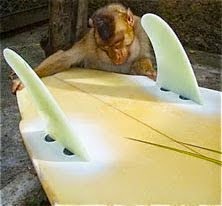 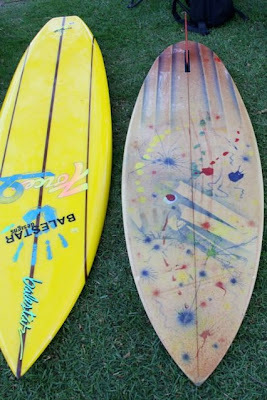 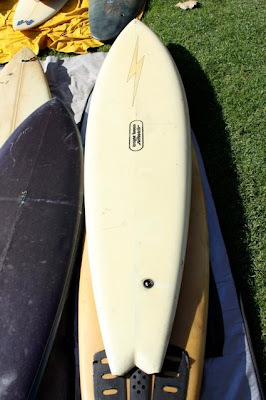 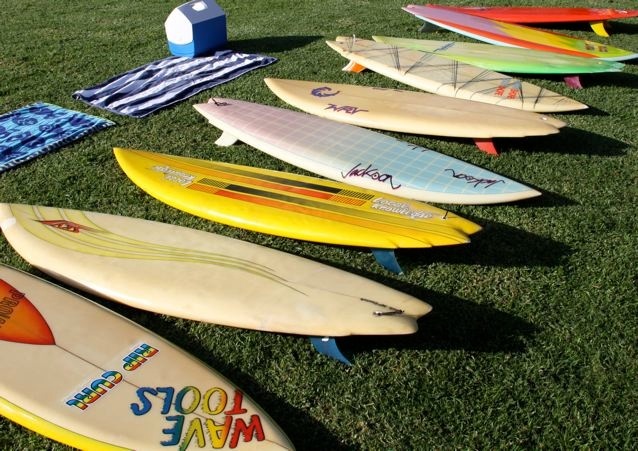 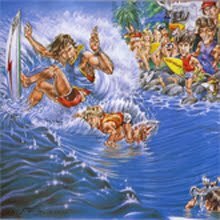 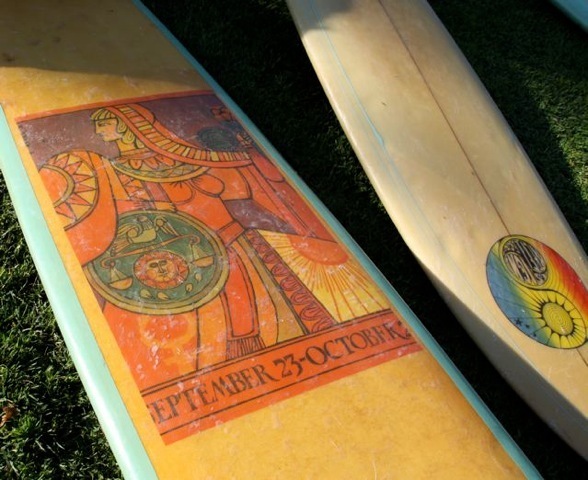 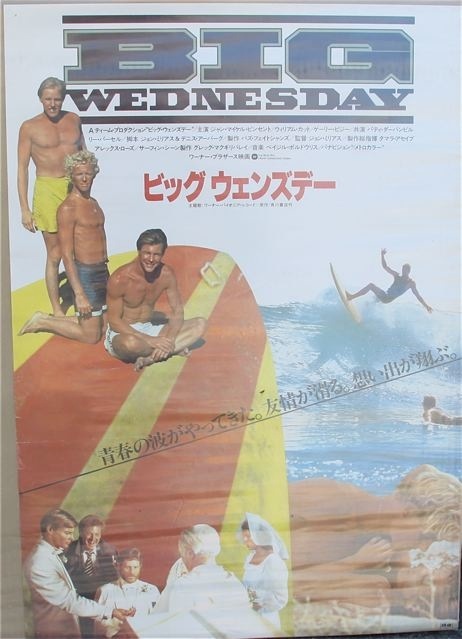 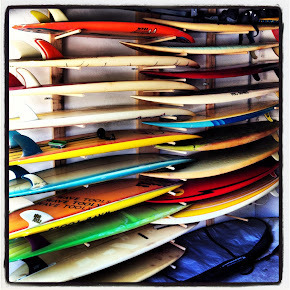 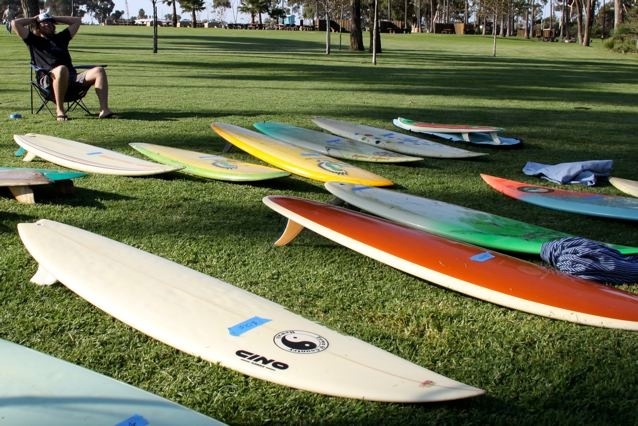 : Board Collector: Dana Point Part 2. 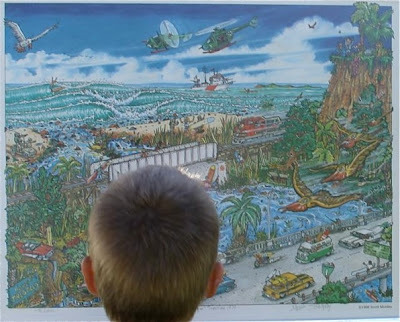 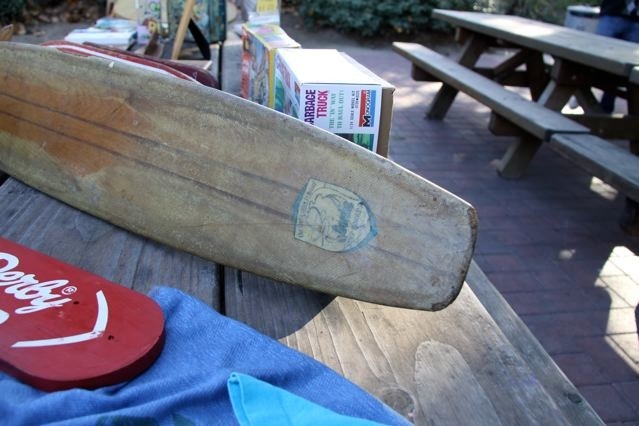 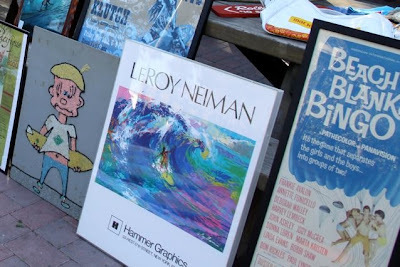 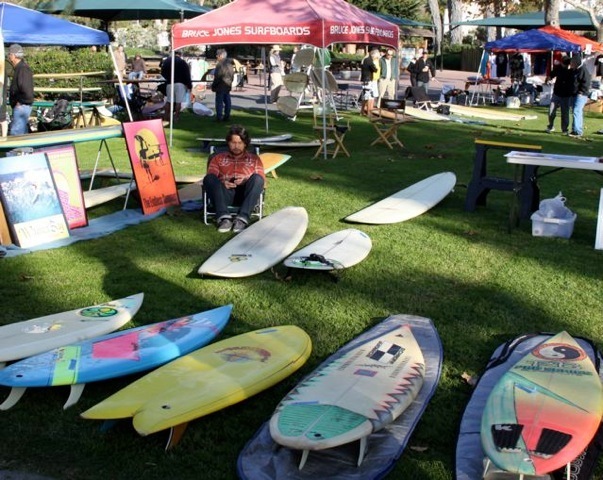 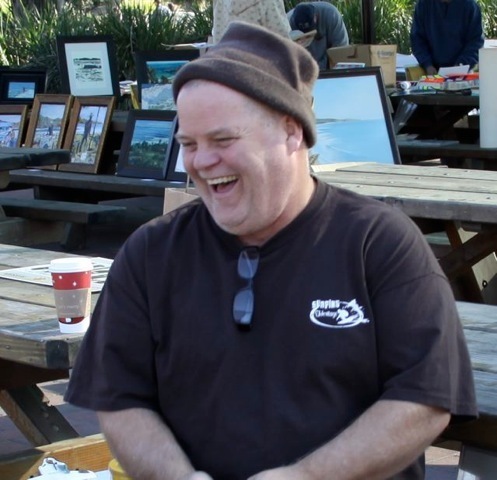 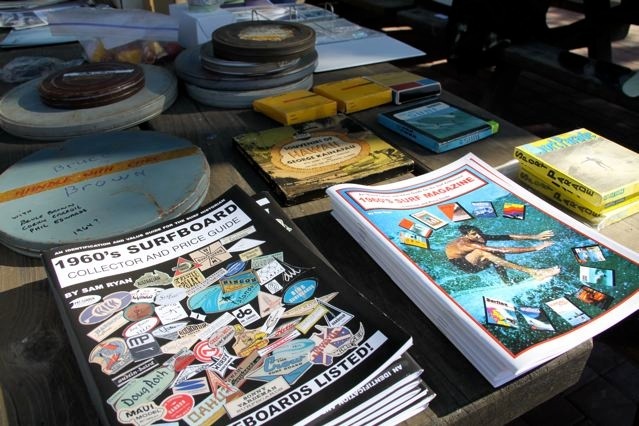 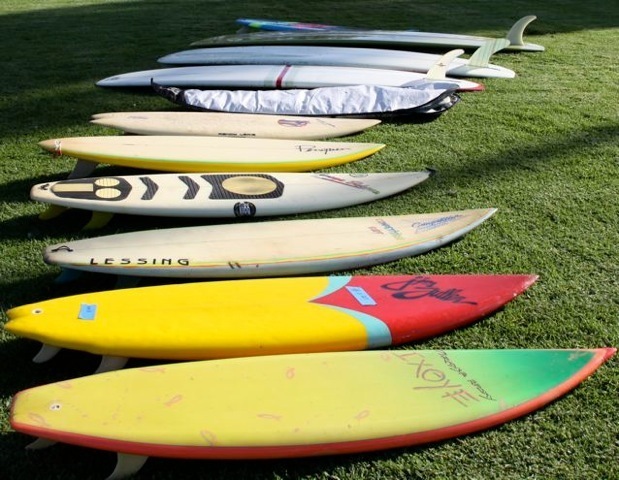 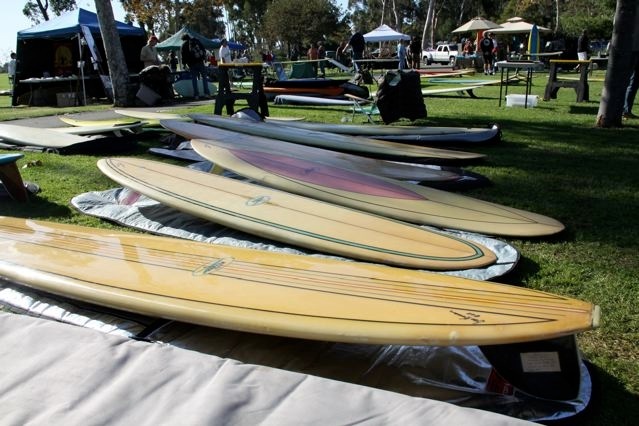 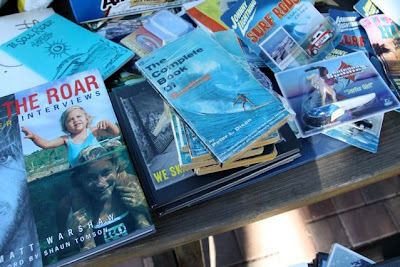 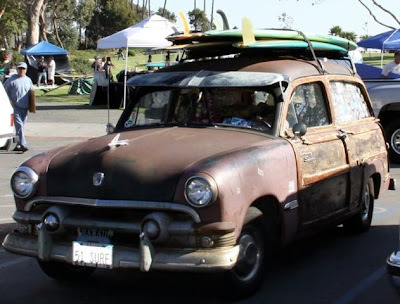 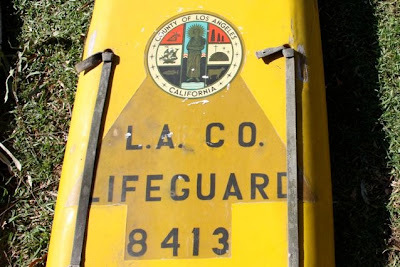 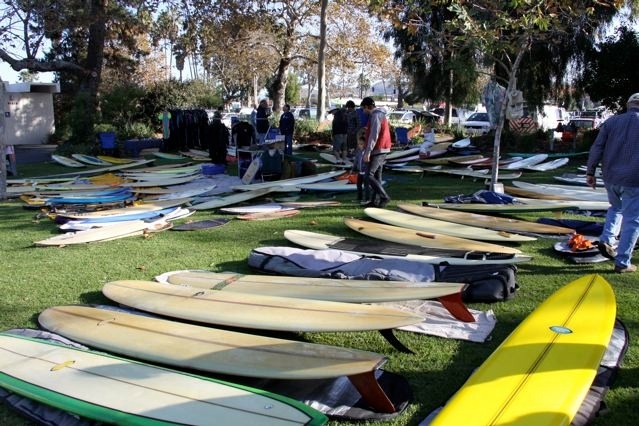 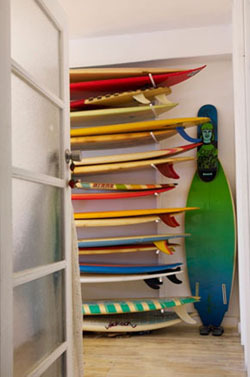 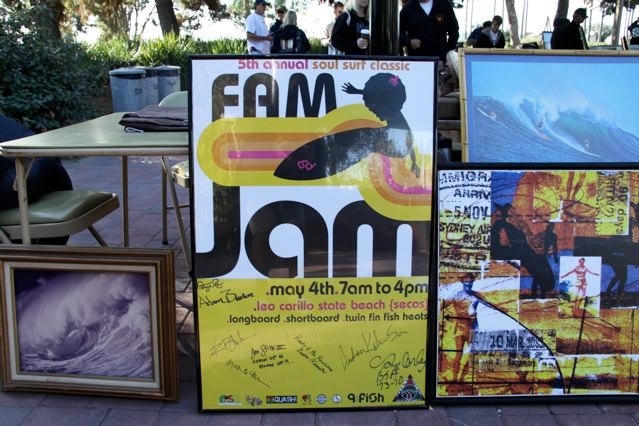 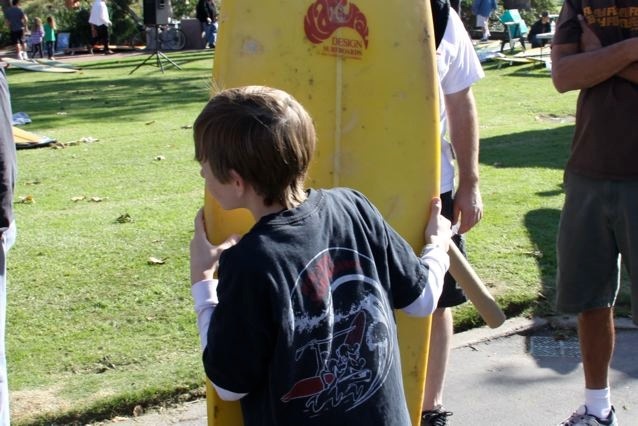 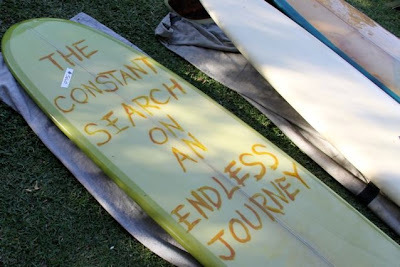 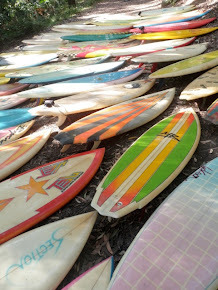 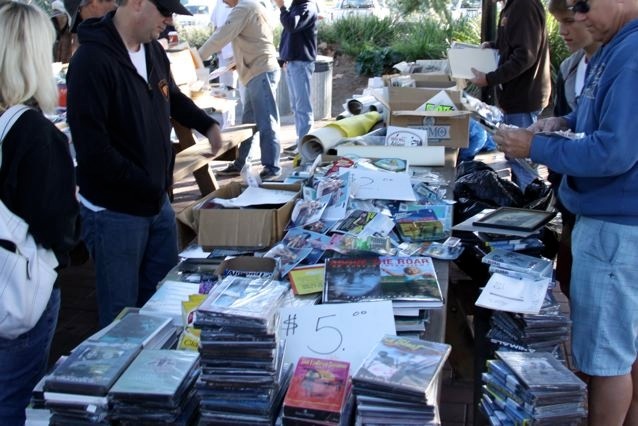 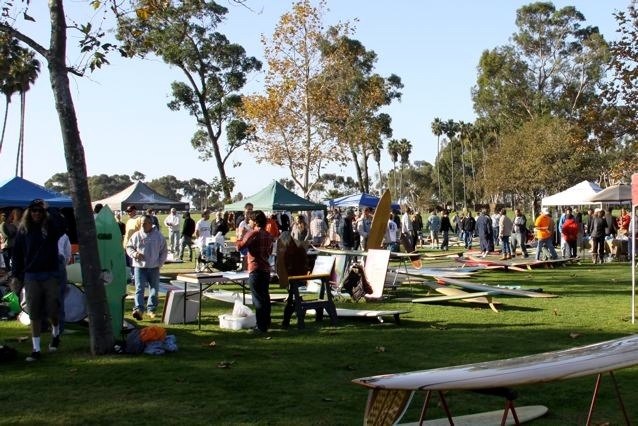 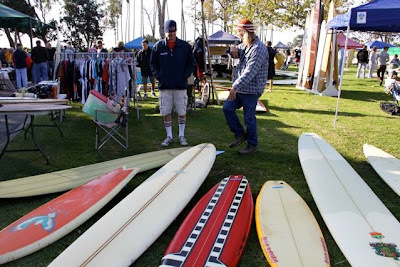 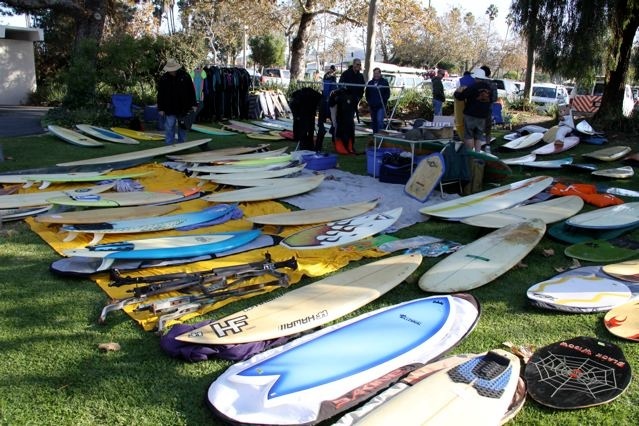 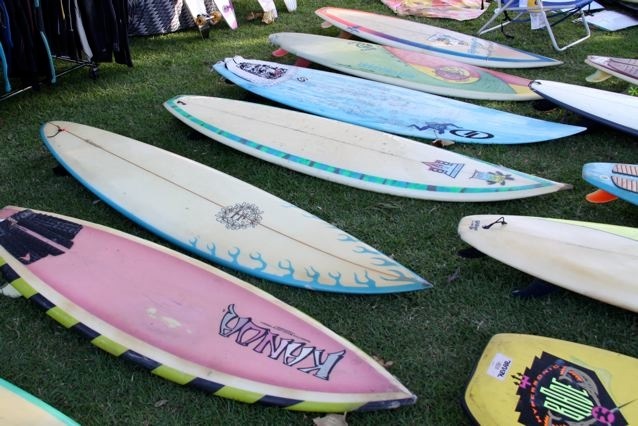 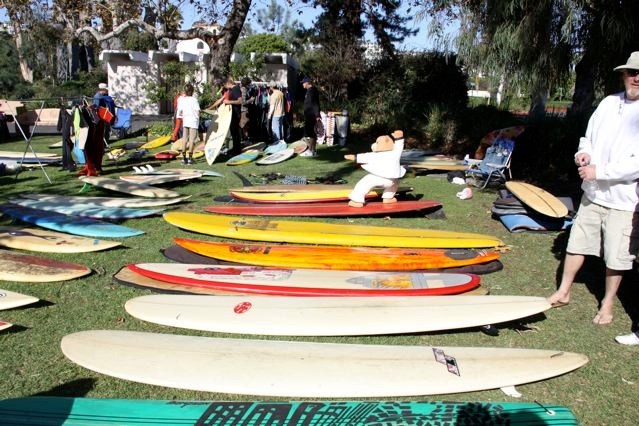 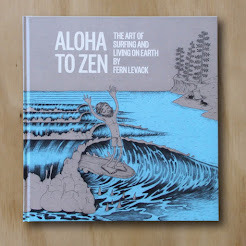 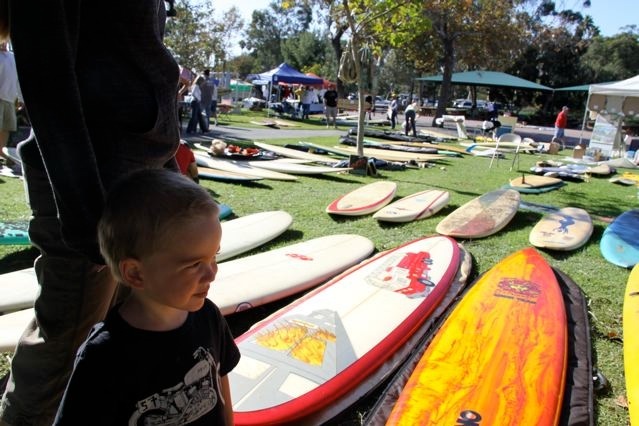 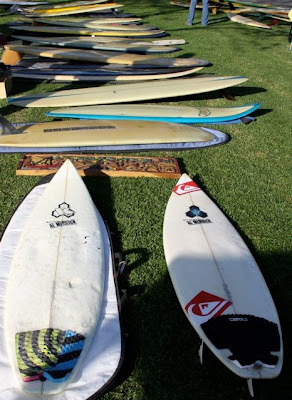 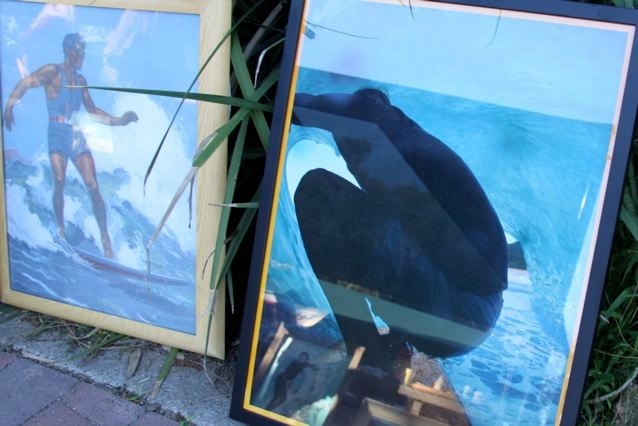 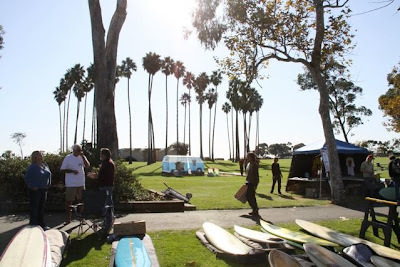 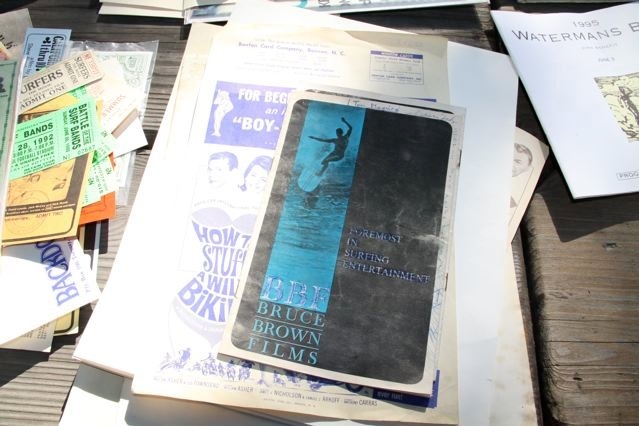 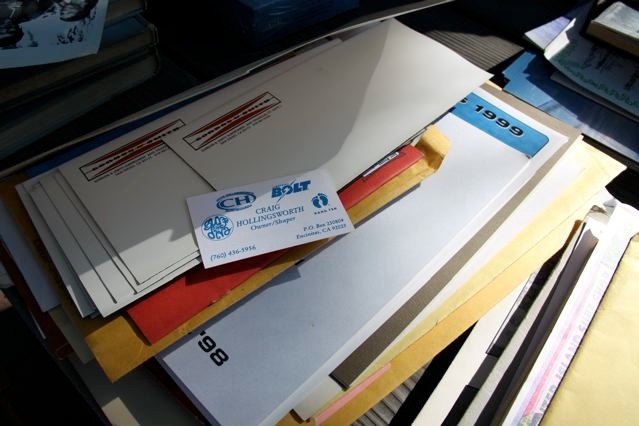 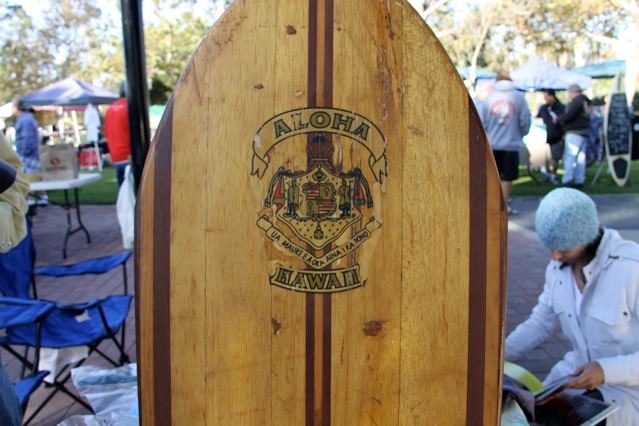 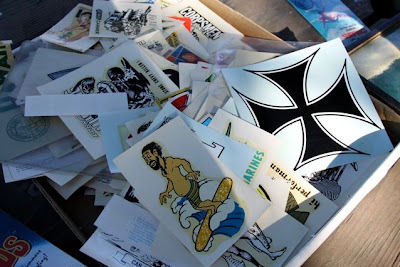 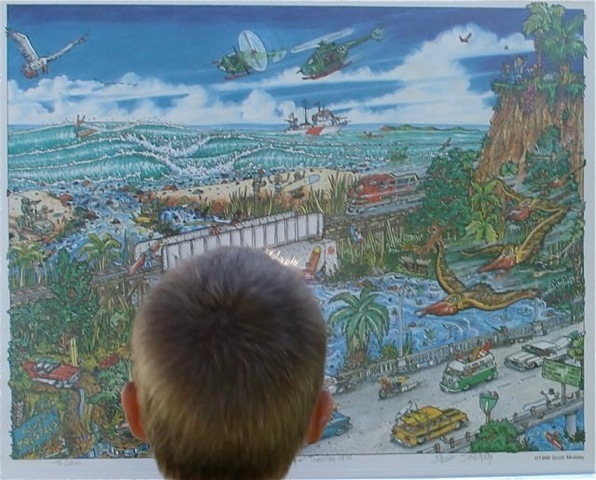 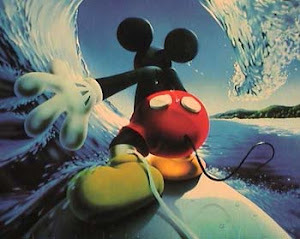 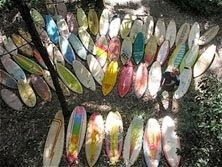 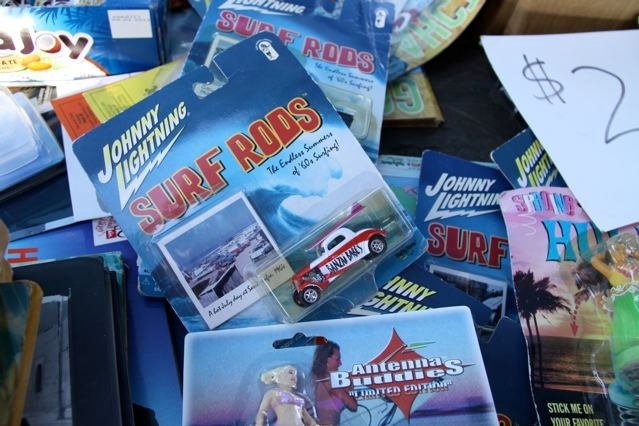 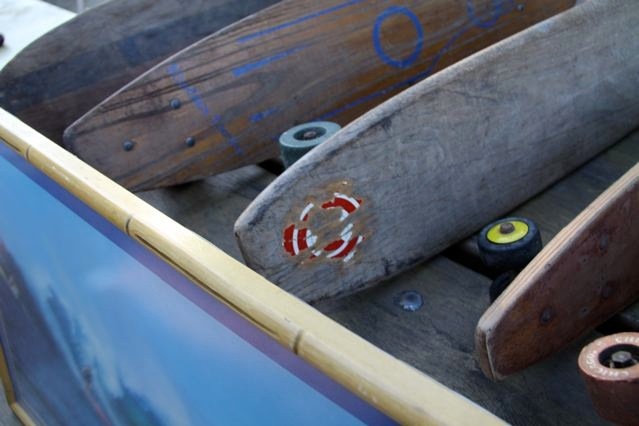 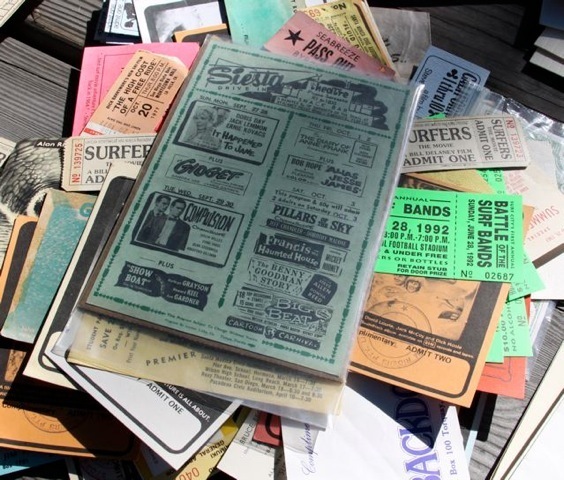 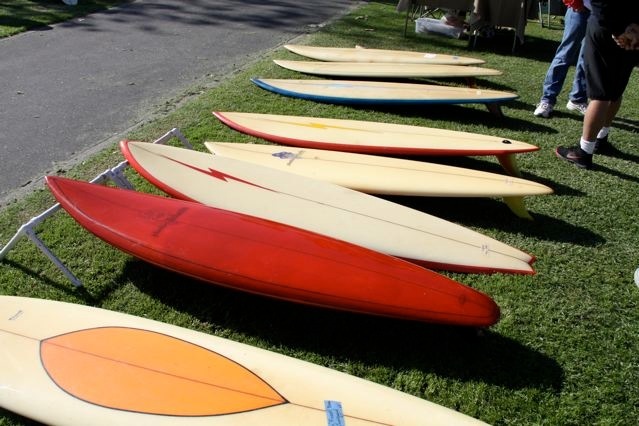 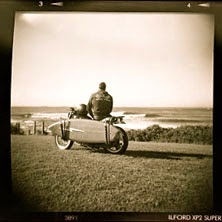 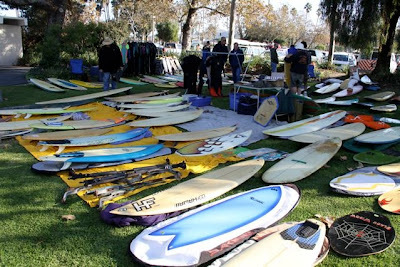 I had to give a lot of thought to what I was going to show at the Longboard Collectors club meet at Dana Point. 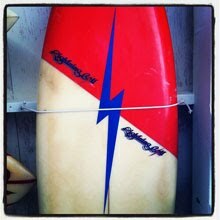 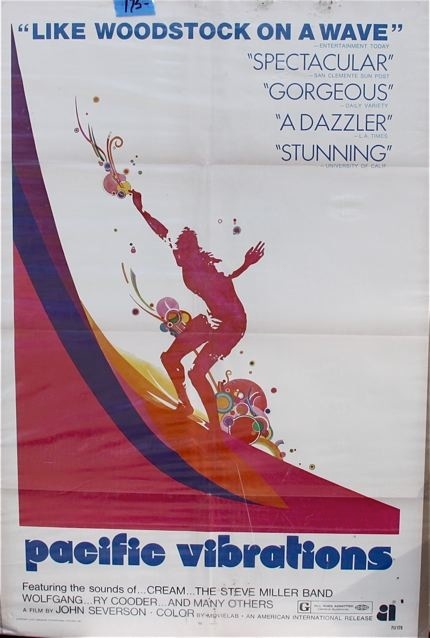 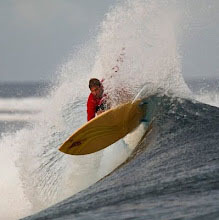 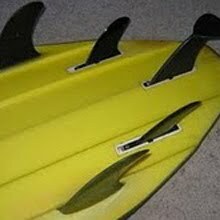 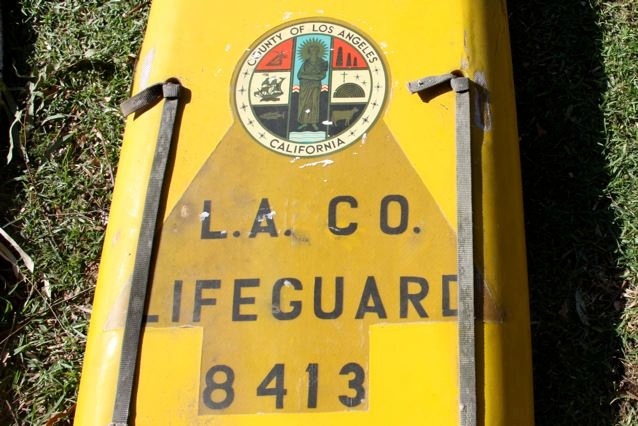 I decided to go with a theme of 1978-1982 twin fins, with an equal mix of Australian and US boards. 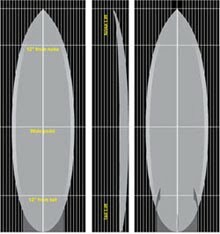 This way I could show and discuss the subtleties in the variations in design that were happening at the time on each side of the Pacific. 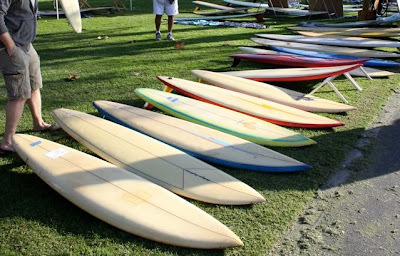 The US evolution from the Steve Lis inspired fish twin fins with their shorter wider fins, wider tails and flatter rockers. 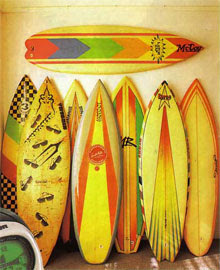 The Australian designs I could show, where more heavily influenced by MR's designs and world title wins. I set my self up on the grass with my cooler full of water and snacks, caffeined up, ready to debate and discuss. .....and still kept adding more to the pile. "i think the german's had something to do with it"